A true fright night: DIY backyard halloween decorations. In the last few weeks, we've shared our favourite ways to spend this Halloween in your Vuly trampoline, as well as how to create Halloween-worthy superhero costumes. We've been overflowing with ideas (and we love Halloween so much), so we decided that a follow-up was in order! Today, we're focusing on how to dress up the rest of your backyard to complement your Classic, Vuly2 or Thunder Jack-o-Vuly with plenty of fun DIY decorations. You could buy pre-made spiderwebs or decorations from the shops, but wouldn't it be more fun to make them yourself with the kids? You'll have the the ultimate spooky setting for any little zombies or vampires that are staying over. Hanging bats are a staple for the scariest night of the year. Put an extra creepy twist on the traditional hanging bat with the addition of glow in the dark eyes. These look particularly fantastic peeping through branches, petrifying from patios or startling in a swarm from the roof of your Vuly tent. A hole punch and string. Draw up a bat shape on a piece of black cardboard using your pencil. If you aren't a confident drawer, simply print off one of the many free templates found online. Cut out the drawing or template using scissors, and use it to trace out the rest of your bats. 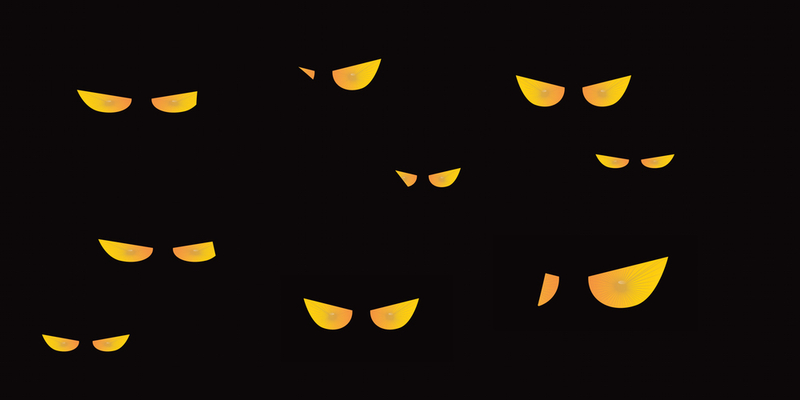 Apply two small dots of glow in the dark paint as ‘eyes’ to each bat, once you have your army. Punch a hole into the head of each bat, and feed through a piece of string. Hang them in and around your garden. Carve out a range of eye shapes along the side of each roll using your Stanley knife. Make sure that there are no little fingers nearby during this step. Stuff the rolls with glow sticks. Tip: If you want to boost the realism of the effect, draw irises onto the glow sticks, and tape them to the side of the rolls, so that the iris is always facing through the eye hole. Place the glowing eyes into bushes and hedges around your yard. Remember: Leave outside lights off, or place the eyes in darkness to maintain the illusion. Your kids will likely put forward many requests for this decoration; they'll have seen it on TV shows and want to replicate it. Don't be afraid to get your hands dirty (and your kids' as well) to creating this traditional favourite. A few Jack-o-lanterns will do wonders to complement your Jack-o-Vuly, and they'll add instant Halloween vibes to your outdoor ‘fright zone’. Cut out a circular shape into the top of the pumpkin around the stalk with your saw. Don't to throw your lid away! Carve out the inside of the pumpkin with your scraping tool. Mark / trace your face design in small dots using your pointed needle tool. Cut your design into the pumpkin's flesh with your miniature saw.Tip: Make holes around the pumpkin using a power drill. This will create a whimsical ‘star effect’ when you light up the inside. Place your battery-operated candle inside, and the pumpkin lid on top. Position your classic, creepy pumpkin decoration around your Vuly. 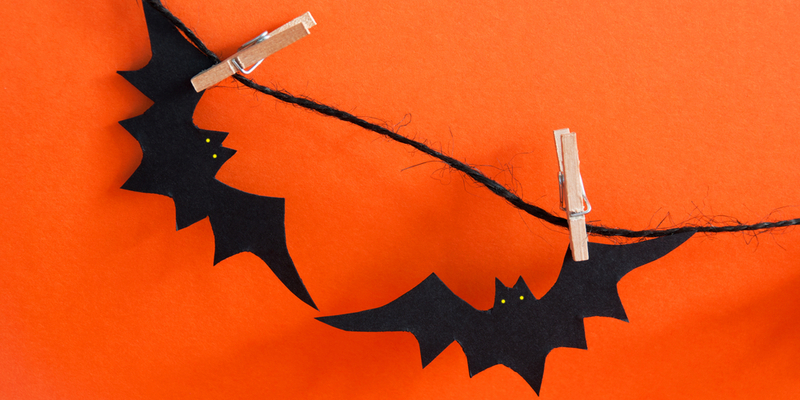 What other DIY decorations are you whipping up at home this Halloween? 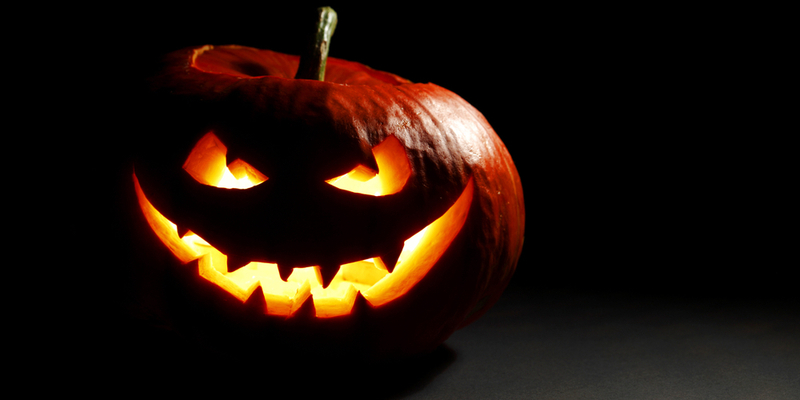 Did we inspire you with our simple Halloween idea blogs? Let us know!